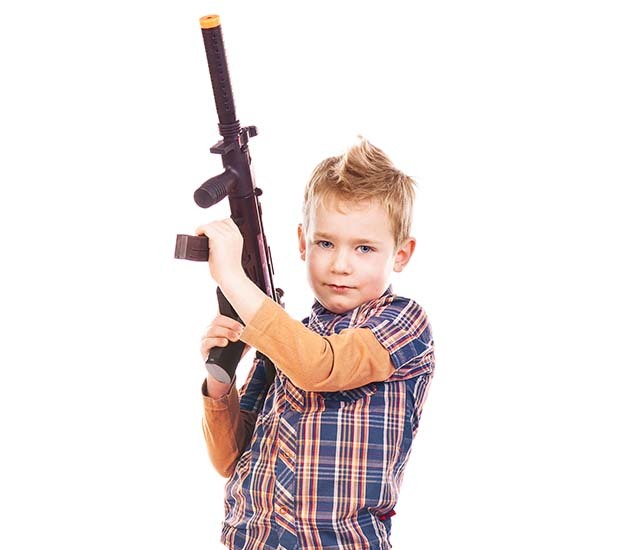 Kids And Guns – How Young Is Too Young? Every parent asks themselves this question. If you’re lucky enough to be brought up with firearms around, this probably isn’t a big deal for you. However, within the last five years, more Americans are first-time gun owners with little to no experience. This can be a challenging issue for a parent, trying to find that balance between safety, having firearms in your home and on your person. I am a former marine and carry every day. So naturally my five-year-old daughter has always been around guns. She started to ask questions about them around age three. Being curious about seeing dad cleaning them and one always on my side, she wanted to know what they were. 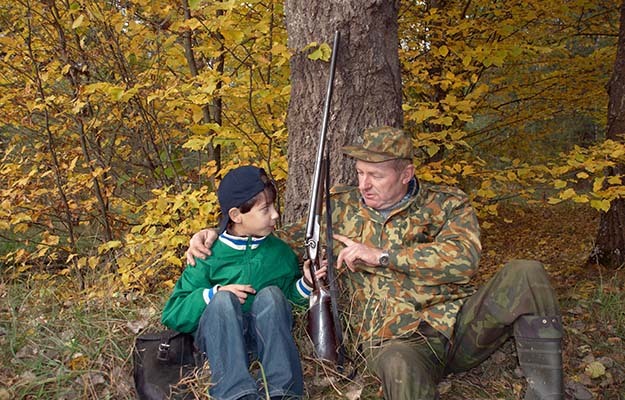 There is no magic age when children are ready to be introduced to firearms. If you’re a parent, you know that some children mature faster than others. The best thing to do is start them when you feel they can respect the weapon for what it is capable of. If you try it and see signs that they are not ready, don’t be disappointed. Just give it some more time and try again. It’s better to wait until they can safely handle a gun than risk an accident. One mistake a lot of parents make with guns when it comes to their kids is that they make them so off limits they end up accomplishing just the opposite of goal. Let me put it this way- if you tell a child not to do something, what do they do quite often? The child will do exactly what you said not to. The best way to cure their curiosity is to make sure they know never to touch them without your permission but at the same time can see them if they simply ask. Removing this “forbidden fruit” and showing them the destructive power they possess can prevent an accident. When I was about eight years old, my father took me out to the field behind our house and set a gallon jug of punch on a fence post. He then took his .357 magnum (that I’d seen him carry practically every day) and shot it. It completely destroyed the jug and sent red punch everywhere. He then said to me, “Son, now that’s what can happen to someone you care about if you play around with them, but you also know we need guns for things like your dad getting meat for us to eat and for people like policemen to keep us safe from the bad guys, right?” This may seem like a dramatic or morbid way to teach a child about gun safety, but I’ll tell you one thing- I never forgot that. Taking them shooting will also show them firsthand what can happen to someone when firearms are not handled properly. When starting them off, I would recommend using a small caliber. If the recoil is too strong for them to control it will also be difficult for them to hit the target and be a bit scary. You want it to be as fun as possible for them the first time, or they’re never going to want to do it again. It’s funny to think that in the 40s, they used to teach kids marksmanship just as you would shop class. That would seem crazy to a lot of Americans now but 70 years ago our culture was very different. The most important thing is to trust your judgment. No one knows your children better than you, so no one is more qualified to tell you when they are ready to start. I showed mine deer I shot and then let them shoot at a young age always letting them know that once you pull he trigger you can’t take it back. never had trouble with them playing with guns.